Is this whole IPv6 thing really necessary? Yes. The American Registry for Internet Numbers (ARIN) stopped the general allocation of IPv4 addresses on September 24, 2015. In order to sustain current users and any future growth, migrating to IPv6 is inevitable for service providers. In addition to the exhaustion of the IPv4 address space, the emerging trend of the Internet of Things (IoT) is expected to cause the number of connected devices to cross 20 billion by the end of this decade, increasing the demand for even more IP addresses. How many IPv6 addresses are there compared to IPv4? IPv4 addresses are in a 32 bit format, which means there are approximately 4.3 billion IPv4 addresses. That sounded like a lot when the protocol was first developed in the 1970s, but with over 7 billion people in the world, and an influx of new IP-enabled devices, it is not nearly enough for the future. By contrast, IPv6 addresses are in a 128 bit format. This allows for 340 undecillion numbers. How many is that? It’s 340 followed by 36 zeros. That’s enough to give an IP address to every atom on the surface of the earth and still have enough left over for 100 more earths. To provide complete IPv6 service, each link in the chain—the end-user, carrier and content provider—must be running IPv6. Realistically, not all three of these links in the IPv6 chain will be suddenly IPv6 at the same time. This means that IPv4 is still required during the transition to IPv6. The majority of Internet content is currently available only for IPv4, but all those billions of new devices that are coming will be given IPv6 addresses. So while everyone is waiting for IPv6-based content, your IPv6-only users with those billions of devices will still need to access that IPv4-only content. It won’t be the content providers your subscribers are angry with, it’ll be you. CGNAT provides seamless communication between IPv4 and IPv6 devices and networks. 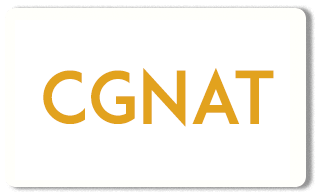 Will my customers see any impact when I deploy a CGNAT solution? No. Our Carrier Grade NAT solutions can support up to 256 million concurrent sessions. Also, unlike some NAT deployments, our CGNAT solutions include application level gateways that ensure applications like VoIP, Skype, and online gaming will keep working for your subscribers. What about requests from law enforcement? Some NAT solutions make it very challenging to find out who was using an IP address at any given time. Our solutions eliminate the need to search large address translation logs that could contain terabytes of data, making it much easier to respond to law enforcement requests. How does the cost of your CGNAT solutions compare to other IPv6 solutions? CGNAT and IPv4/ IPv6 translations is a resource intensive process and requires high-performance engines as part of the basic architecture. Payload inspection, protocol-aware gateways and IPv4 to IPv6 transition techniques put a strain on CPU and memory resources on traditional router products. Our solutions are designed to provide CGNAT, so are significantly more efficient and consume much less power and cooling when compared to traditional IP router-based CGNAT solutions. Also, you can start with CGNAT to immediately mitigate IPv4 address exhaustion and then phase in NAT64/DNS64 to enable IPv6 devices to access the IPv4-based Internet. IPv6 removes the IP address scarcity by creating a new address space with vastly more potential addresses. IPv6 also provides many other benefits to service providers and end-users, such as improved efficiency, security, simplicity and Quality of Service (QoS), which IPv4 doesn’t have. Can I just switch over my network so it is all IPv6 and be done with it? No. Even with IPv6 implementation in a network, you still have to communicate with legacy IPv4 servers and applications. Since IPv6 is not backward compatible with IPv4, service providers must have a way for their customers to reach content hosted on networks that have not yet made the transition to IPv6. How does CGNAT solve the IPv4 shortage and the need to move to IPv6? Carrier Grade NAT allows you to conserve the IPv4 addresses you have, giving you time to make the transition to IPv6. These solutions allow service providers to extend the lifetime of their current IPv4 infrastructure while also allowing for transitions to newer IPv6 infrastructure. 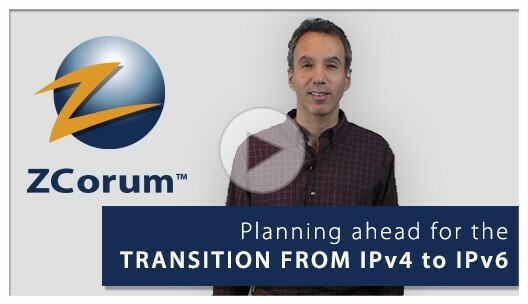 This gains the service provider time to plan their IPv6 transition strategy. Also, networks often require different transition technologies to be deployed simultaneously. These solutions allow you to deploy each transition technology concurrently. For example, you could start with CGNAT to immediately mitigate IPv4 address exhaustion, and then phase in NAT64/DNS64 to enable IPv6 clients to access the IPv4 Internet when you are ready. What Carrier Grade features are built into your solutions? Our hardware-based solutions have hot swap redundant power supplies, solid state drives, Lights Out Management (LOM/IPMI) and Error Correcting Code (ECC) memory. The only moving parts are the fans, which are also hot swappable. Our appliance solution is based on standard hardware designed to be highly redundant and used in an Active – Standby pair for high availability. In either case, we highly recommend deploying redundant boxes. When deployed in high-availability pairs if a link is cut there is an immediate failover from one device to the other. Will this give me IPv6 Addresses? No. The American Registry for Internet Numbers (ARIN) is the location for requesting IPv6 addresses. But, our CGNAT solutions provide options for transitioning to IPv6 so that you can roll-out IPv6 on your network when you are ready. You can click the link above and follow the process steps including how to determine how much IPv6 address space you need.